When bad weather strikes the Tulsa area, your roof is the first line of defense against the elements. As such your roof frequently suffers the most damage after inclement weather. We provide free no obligation estimations through our Commercial Partner Billings Construction (OK LIC# 80002880). We are committed to honesty in all of our assessments and Billings Construction has taken that pledge with us. Combat Roofing & Billings Construction has strong relationships with insurance companies because of our reliability and honesty. This will benefit you in your residential roofing needs because our trustworthy reports are more likely to be approved in insurance claims. We will be there to help you through the entire process and we handle the insurance claim from start to finish. Our Commercial Partner will even meet with your insurance adjuster personally to point out the damages we report. We understand how stressful your Tulsa roofing repairs can be when they involve storm damage and we want you and your family to be sleeping peacefully under a solid roof as quickly as possible. Having a commercial roofing maintenance program is crucial for keeping the roof on a building in good condition. The climate can be extreme and unforgiving here in Oklahoma, so it’s important to make sure that your commercial roof is sound and performing at a high level. At Combat Roofing we have extensive experience with installing, repairing, and maintaining all types of commercial roofs. Visit your building on your preferred schedule – monthly, quarterly, bi-annually, or annually – to make sure your roof stays in good condition. We can also visit before major storms to check for vulnerabilities or after severe weather to check for damage. 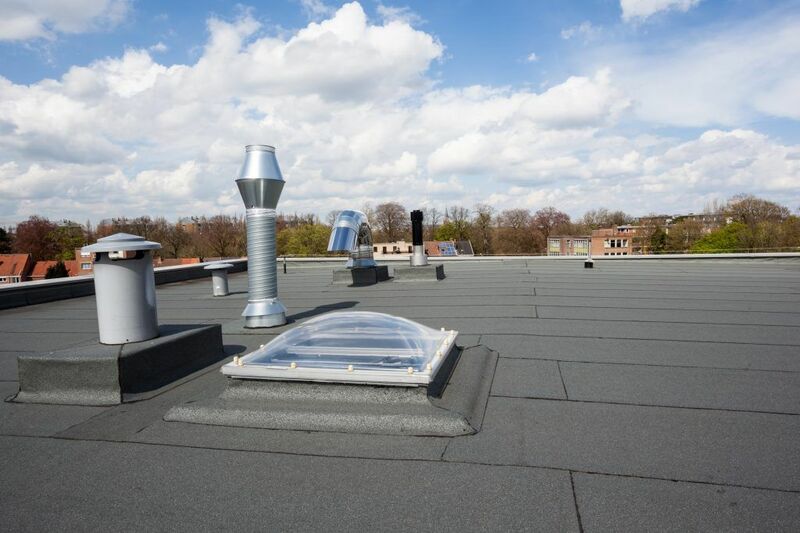 The knowledgeable roofing professionals at Combat Roofing have experience with all types of commercial roof products, including cool roof systems, custom metal roofs, TPO, EPDM, shingles, PVC, and more. If you would like more information about our commercial roofing maintenance programs, contact Combat Roofing today.